I make a very simple, but awesomely delicious, Christmas icecream. Its basically condensed milk, cream, rum or brandy ( whichever you prefer ) and whatever dried fruit and nuts you like ( i like to use apricots, cranberries, almonds and pistachios ). Mix it all up, put it in a metal bowl lined with Clingwrap and freeze overnight or until needed. We LOVE those lemon tarts!! 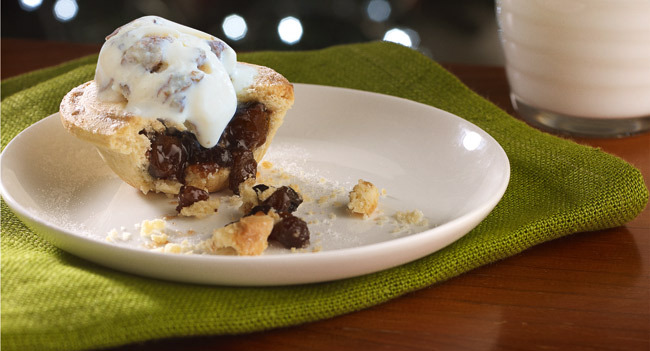 Added them into our order of mince pies last year at the last minute and they stole the show! Favourite Christmas dessert? I guess living in Australia for 13 years this January I can't go past my new love of the Aussie Pavlova - since it is usually so hot it is nice to have a dessert with lots of cream and fruit that captures the Summer season rather than sticking with traditional Northern hemisphere desserts! Ooh it's not Christmas without puddings and pavlovas!! 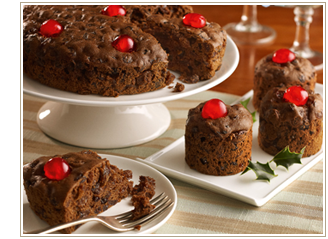 Nothing beats a christmas fruit pudding (warmed) with warm custard poured on top. with the gold coins in the bottom of the bowl as well! My Mother's PORT WINE TRIFLE is to die for - decadent, delicious & don't drive home afterwards. Never been a fan of traditional plum pudding although my parents always insisted on us all having a stir and a wish before hanging it out. So I decided I was going to make plum pudding icecream - just all the yummy things from plum pudding (like glace cherries and nuts) and put them in a brandy butter ice cream. Nom nom nom. If that fails to make everyone happy, mango margarita's are a dessert. Right? trifle is a necessity at our house at Christmas. Nona big fan of Christmas cake either. But a nutella chocolate mousse!!! Now we're talking!! Sorry that was meant to read "not a big fan"!